Sometimes we make mistakes (like drinking too much). That’s okay, as long as you have a bag of goodies with you to fix everything. 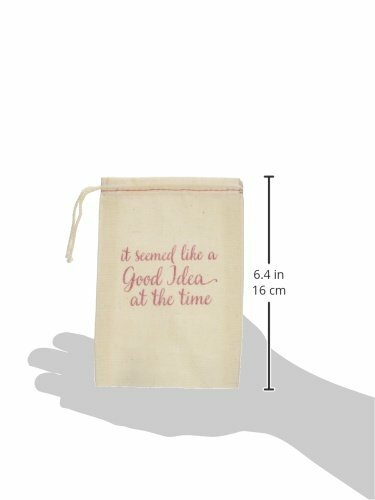 This wedding favor bag is perfect for hangover kits, bachelorette parties or any party especially wedding events. 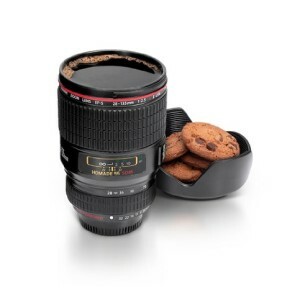 They are inexpensive and a great way to liven up any party . Just add your own remedies. 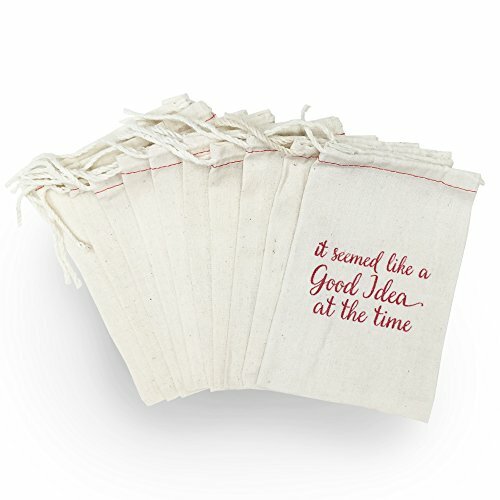 10 Bags – 4″ x 6″ inch hangover kit bags perfect for bachelorette parties and wedding favors. 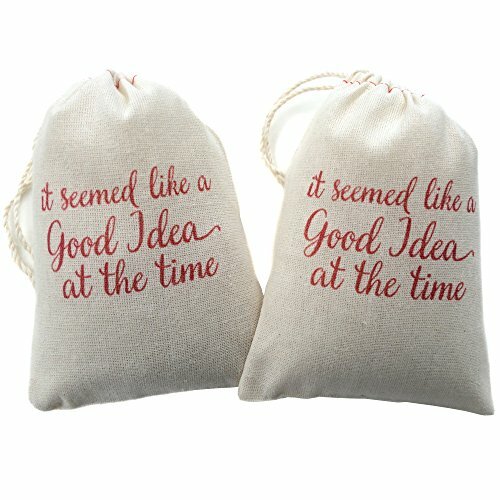 “it seemed like a good idea at the time” is printed in red ink on one side of the bag. 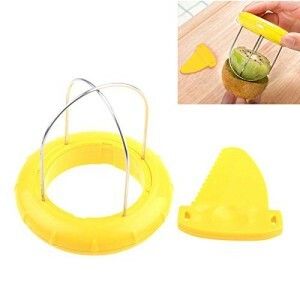 Great for bachelorette party favors and wedding party favors. 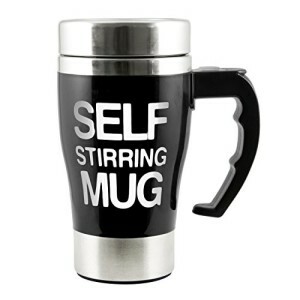 Perfect for hangover kits, bachelorette party favors, wedding favors and party favors. 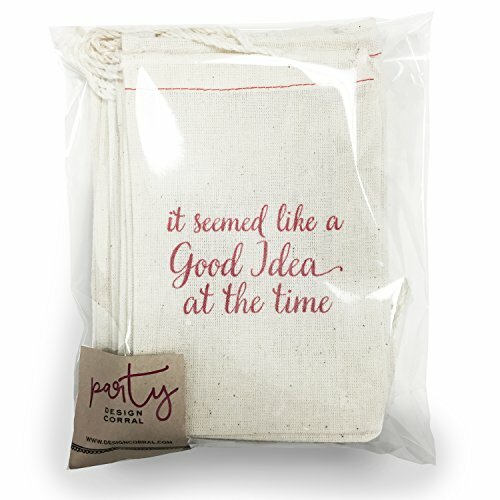 A premium durable cotton blend Drawstring Muslin Bags Printed in red ink.